SUPER joins forces with THE ANDY WARHOL FOUNDATION FOR THE VISUAL ARTS for an exclusive frame, we present “The Iconic” limited edition. Perfectly named for the creative visionary that inspired the frame, and for its universal appeal, The Iconic comes in two timeless styles, a sunglass and an optical frame. The sunglasses feature Warhol’s signature silver hue with matching ultra-flat glass silver mirrored lenses by Barberini. 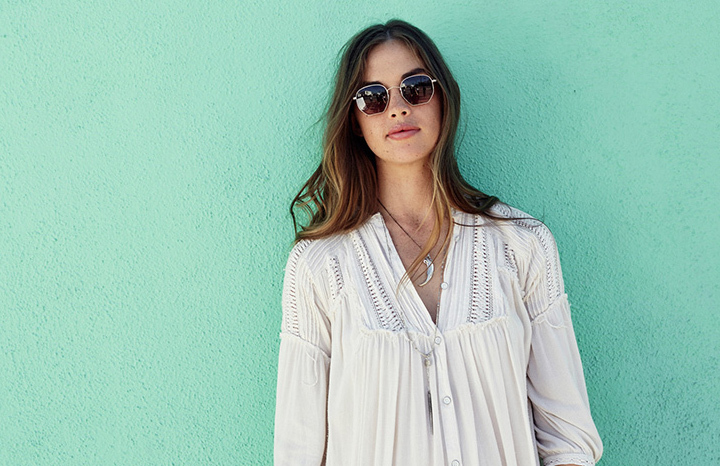 The flat lenses further enhance the strong mirrored effect, best appreciated in person. The optical frame is very much in the original mood of the quintessential specs Warhol has worn, with its slightly tinted crystal acetate. 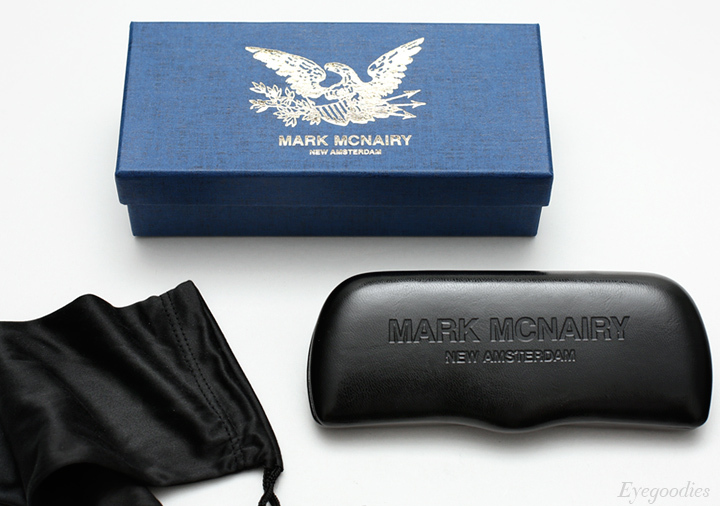 Both models bare unique inscriptions on the arms and come complete with a special edition leather case and packaging to commemorate the collaboration. The two limited edition models were only given to a select few retailers, so supply is low. 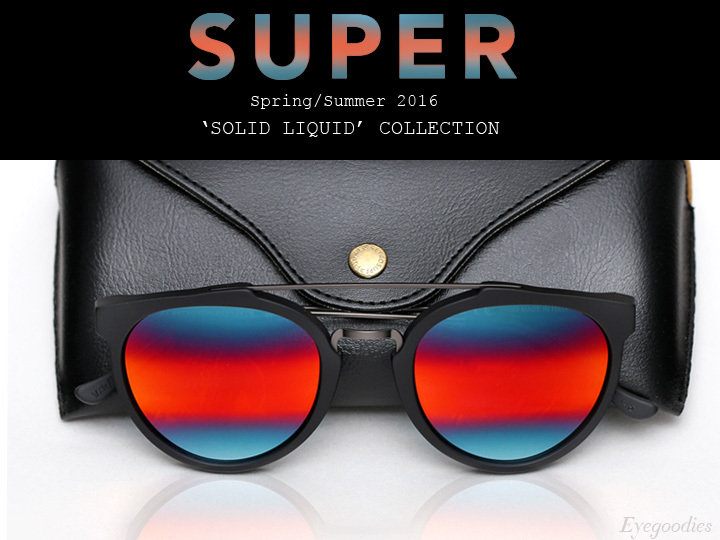 We are proud to present Super sunglasses new Spring/Summer 2016 “Solid Liquid” collection. This season, Super juxtaposes darker acetates with splashes of color, edging classic designs toward contemporary. 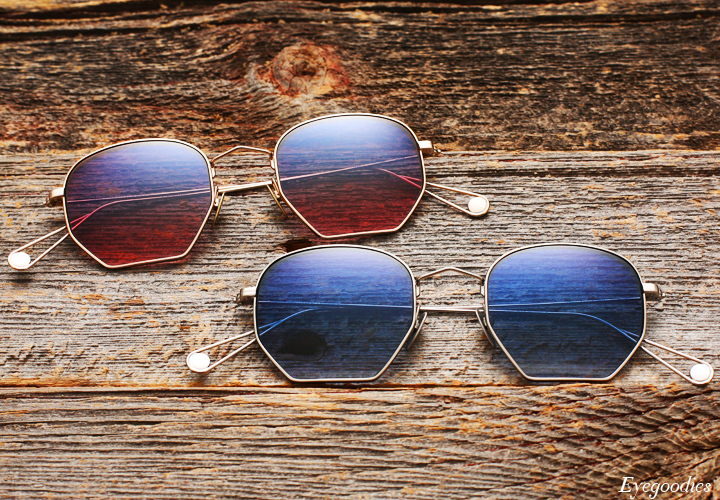 The new assortment of shades is both lively and technical as it utilizes various materials, unique acetates, and vibrant colorways. Standouts include the hypnotic “M3″ series, featuring wild double gradient triple mirror Zeiss lenses, even better in person. As well as the tone-on-tone all stainless steel “Synthesis” series, crafted from a single sheet of metal.